500 years ago today Martin Luther posted his 95 theses on the door of Schlosskirche (Castle Church, aka All Saints Church) in Wittenberg, Germany. What began as simply an academic debate over the sale of indulgences soon led to huge changes that reshaped both the spiritual and political map of Europe. 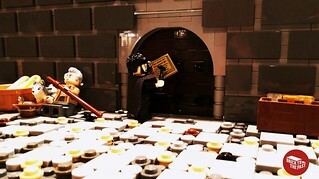 Several years ago former forum regular Jojo posted his LEGO rendition here at Schlosseclassic. 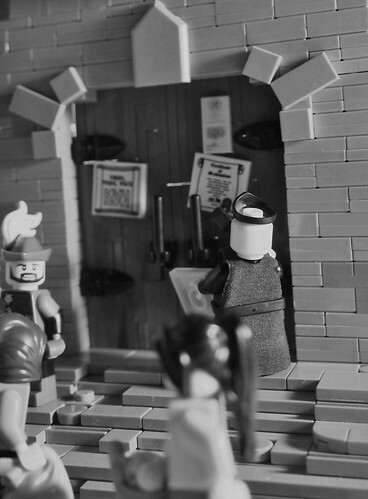 The links are all dead in that thread as he has since migrated from Brickshelf to Flickr, but you can find several scenes by Jojo depicting the life of Luther in this Flickr folder. 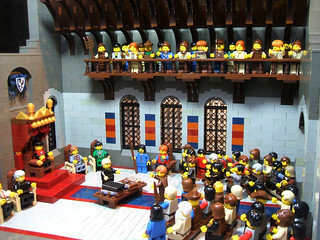 Post your reformation-themed MOCs, or any you find on line, here to commemorate this major event that had such an impact on the medieval world. Here are a few others I found. Click the pics for links and full-size pics. Many great scenes by Chris Wunz, including Luther at the Diet of Worms and the execution of William Tyndale. 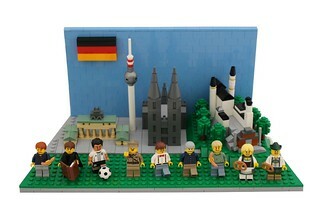 LEGO Germany by Lasse Vestergård - That's Luther second from the left, but also some great microscale work including the cathedral at Cologne and Neuschwanstein Castle. Two versions of Luther's seal. 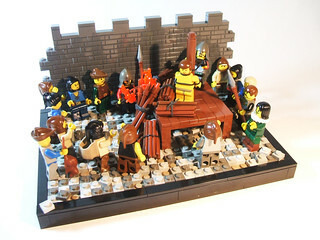 Both of these were group mosaic builds, one organized by Legozilla and the other by Mike Ripley. 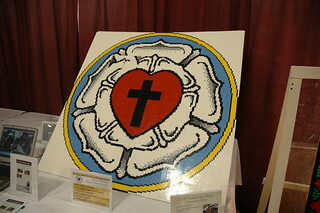 Calvin and Luther mosaics - not sure the builder - these were on display at the Expolorraine 2013 gathering. That's what I find with a quick search. What do you find? Or what did you build yourself? 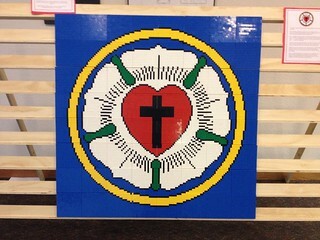 If you're one of the people linked above, have you built anything else that's reformation themed? 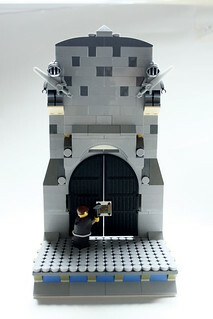 Great MOCs to commemorate this event, I myself haven't built anything this year because I'm quite busy with real life things to commemorate it, but it's great to see at some point others have.